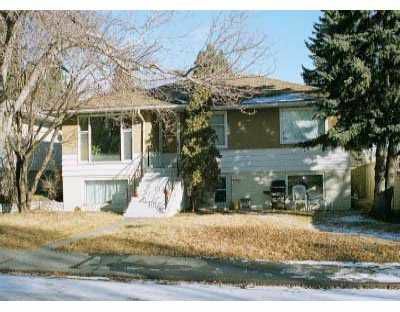 2316 22A St. NW - Wow, this is a great opportunity to purchase a prime revenue property in one of NW Calgary's hottest districts. I have to check yet, but believe this one is legal non-conforming (was legal when built, but now non-conforming), with 2 furnaces (aprox 8 yrs old), 2 gas and 2 electric services. What a wonderful set up with a separate front entrance to the lower 2 bedroom suite, plus a large common area for the laundry and extra storage. This excellent lot has alleys down 2 sides and has C-1 and RM4 properties across the alley to the south. All on a 50' X 120' R-2 zoned lot! Excellent tenants up and down would like to stay. Prime location for university, C-Train, parks, downtown, etc.